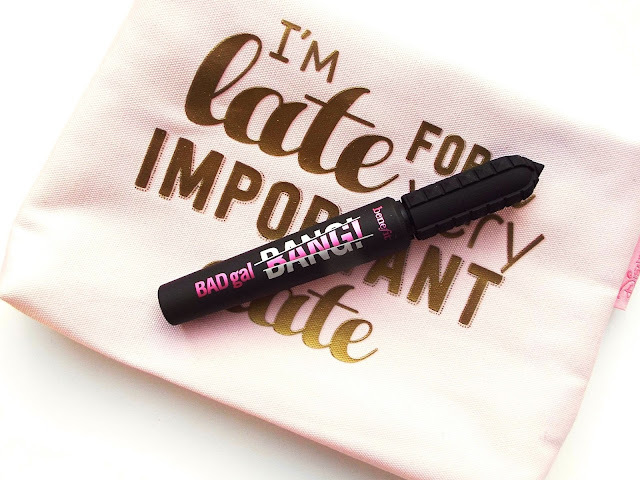 Well there’s no denying Benefit went all out with the launch of their latest mascara. There was bloggers whisked off to the Maldives and they only discovered themselves whilst on the holiday what the launch was for. I have to say I was a little underwhelmed when I heard it was another mascara. However, the Benefit mascaras are definitely what put the brand on the map. Me being me I wanted to try it out, like any launch which has such hype surrounding it. 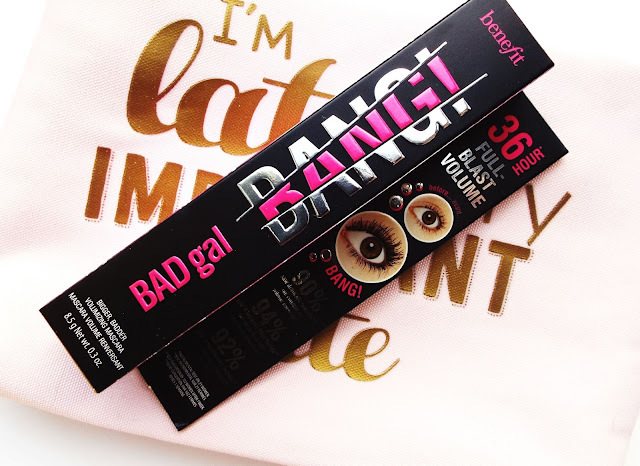 If you have been a reader of my blog since the start, you will know how much I struggle to find great mascaras. I only have a few in my collection as when I find one that I like, I stick with it until it has run out. My most recent go to has been the L’Oreal Paradise. My lashes are long but sparse so I need one that gives me the most volume possible and this does the job perfectly. 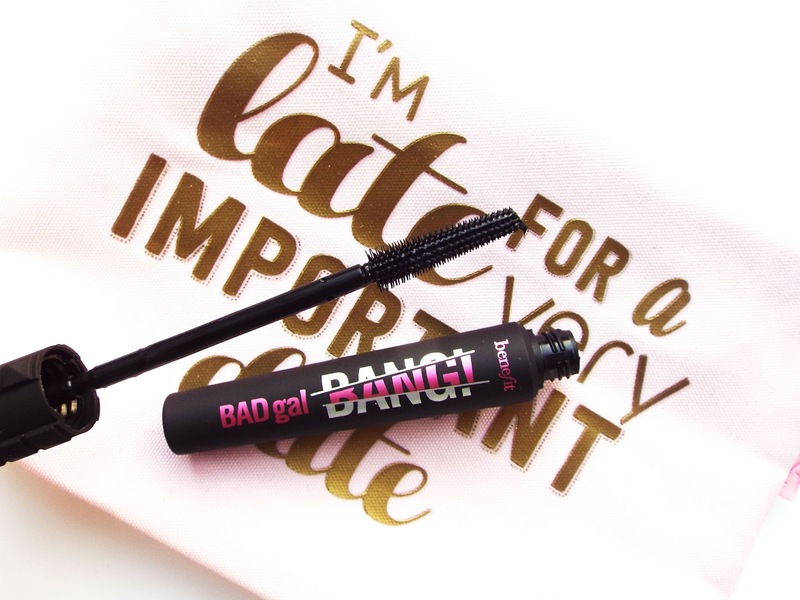 The Benefit Badgal Bang mascara states to do literally everything you would want in a mascara. It promises to lift, lengthen and add lots of volume. A bold claim which I wanted to put to the test. Now this mascara also claims to contain brand new, never before seen gravity defying ingredients which are suppose to not weigh your lashes down. It states it is a “gravity defying formula containing aero-particles one of the lightest materials, derived from space technology”. It all sounds very new and exciting. 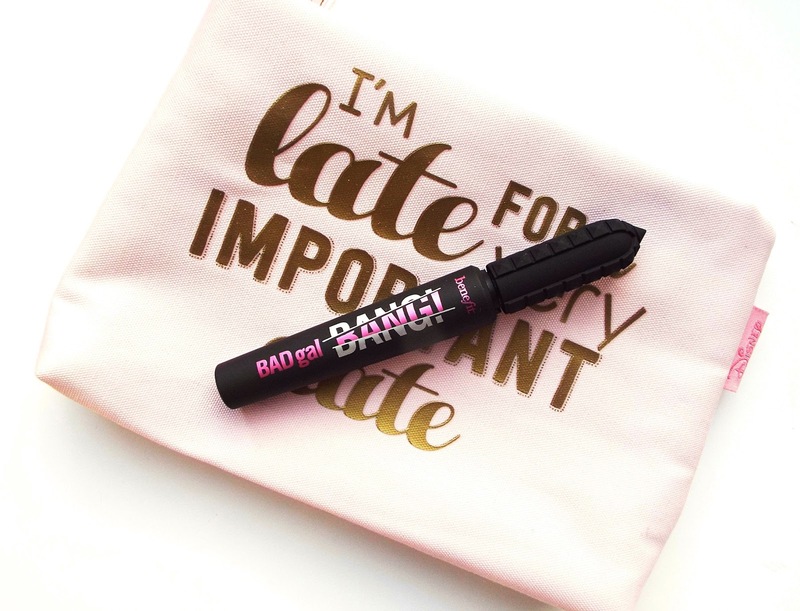 So the most important part of a mascara for me is the wand. I think the wand is what makes a mascara a hit or miss. This one is much thinner than what I had imagined. It is in a slight cone shape which starts thicker at the top and finishes smaller at the tip. I do not think the bristles are particularly long but they differ in size along the brush. I find that the bristles grip the lashes well which helps to build length from tip to root. 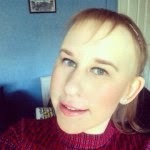 I also find curling my eyelashes before application definitely helps to build the volume. A downside to this product is how wet the formula is. After I apply it I have to ensure I leave a good few minutes before adding any setting spray as it easily smudges. This can also cause smudging when first applying, and the formula can end up catching on my eyelid which can be hell of annoying when I have spent 20 minutes trying to get the perfect blended eyeshadow. Therefore, I know that I have to apply it in smaller amounts and build it up to prevent any smudges from occurring. This is a nice mascara that does work well at building length and volume. However, I am not particularly raving from the rooftops about it. I do not think it is quite as revolutionary as it makes out, and it is not a product which I would tell my friends to run out and buy. It's a good mascara which does the job, but it still does fulfil my dream mascara expectations.